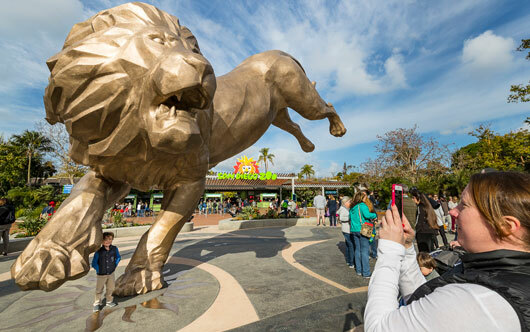 Visitors to Balboa Park got a monumental surprise this week when the San Diego Zoo unveiled a more than 27-foot-tall bronze lion at the zoo’s entrance. Crowds cheered and “roared” as zoo officials welcomed the newly created statue that was designed in honour of Rex, the lion that inspired the creation of the zoo in 1916. Zoo officials hope the statue will add to the tradition of amazing public art in Balboa Park and around San Diego.